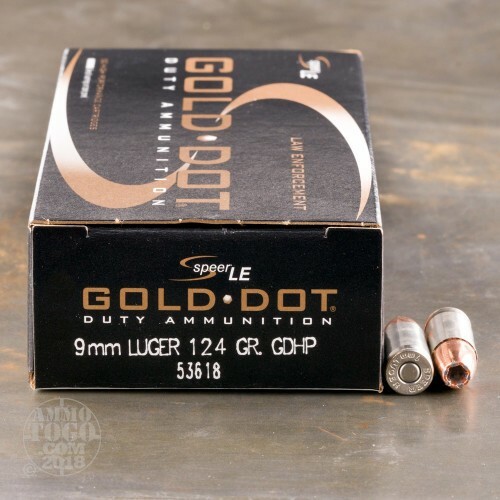 This is 9mm Law Enforcement Grade Speer Gold Dot 124gr. Hollow Point Ammo. 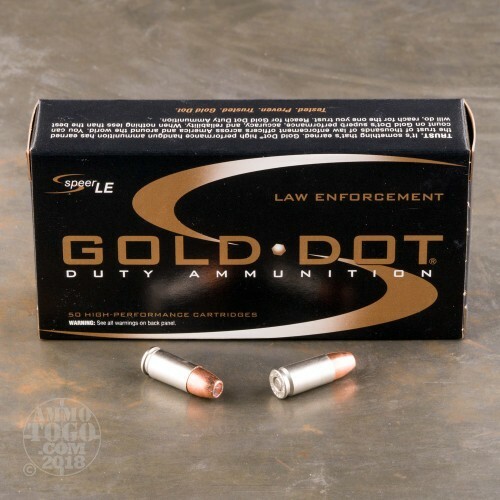 Speer Gold Dot Ammunition is designed to deliver the high performance today’s law enforcement officers demand. 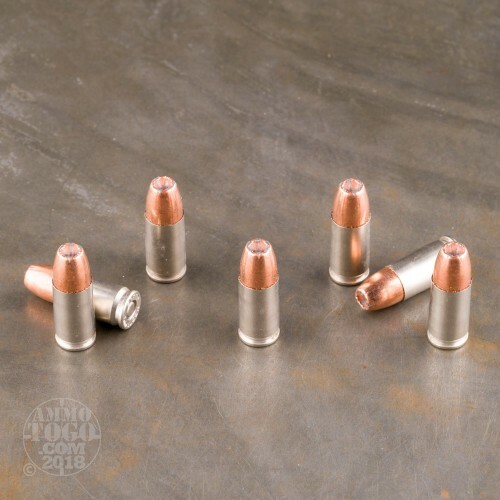 Each Gold Dot* bullet is individually engineered to provide shot-to-shot uniformity and ensure optimum wounding when fired through a variety of barriers. The result is a cartridge that provides officers the ultimate defense in lethal force confrontations. Jacket/core separations are the main cause of bullet failure and a real problem for traditional lead-core, jacketed hollow point bullets. Most bullets perform adequately in soft tissue, but fragment or expand prematurely when obstructed by bone, heavy clothing or any number of other potential real life shooting barriers. Why? Because conventional bullets are made by forcing a lead core into a jacket creating a two-piece bullet design. 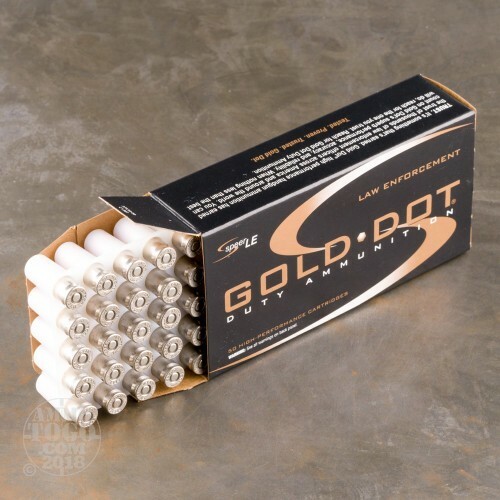 Gold Dot was the first handgun ammunition to be loaded with high-performance bonded core bullets. SPEER’S superior Uni-Cor process bonds the jacket to the core one molecule at a time, virtually eliminating core jacket separations. That’s why SPEER Gold Dot is the #1 choice for Law Enforcement Professionals. This is current production ammunition, packed in the new 50rd. law enforcement box.